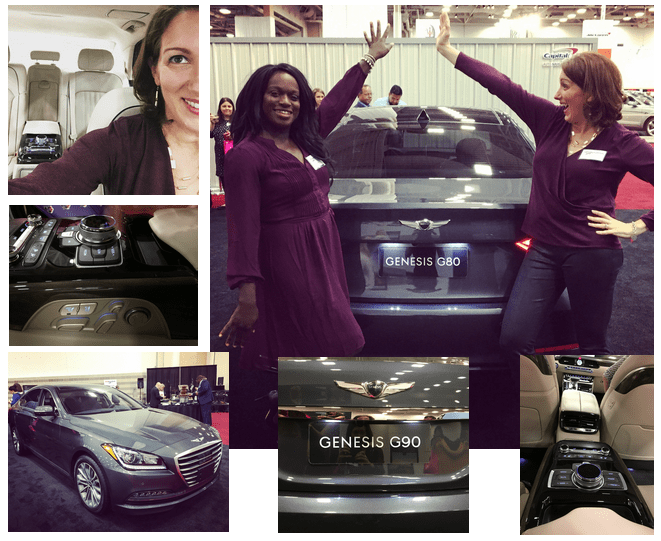 As I mentioned, this was my first Auto Show, and aside from this viral video, I really didn’t know what to expect. Unfortunately, there were no dancing models during our preview sessions, so you’re gonna have to settle for my best Tawny Kitaen, Whitesnake video impression. For some reason, no one seemed to think I was looking for room 226. 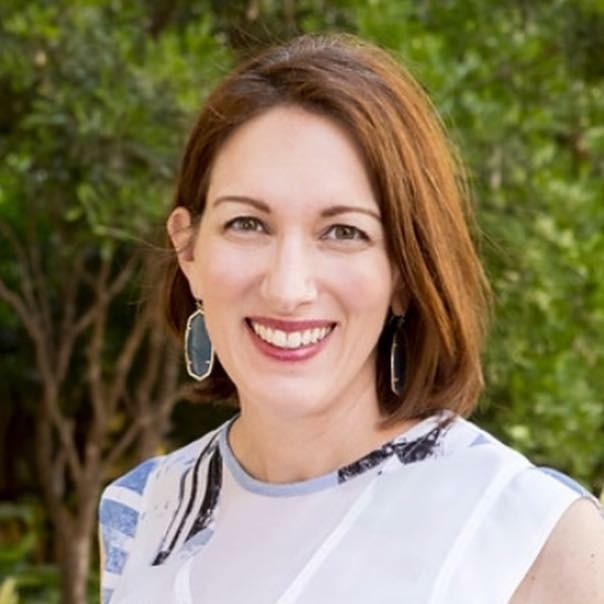 Not only does she *look* like a model, Scotty Reiss from She Buys Cars is one of the foremost industry experts on everything automotive. Instead of Googling questions about cars, just ask her. She knows EVERYTHING. 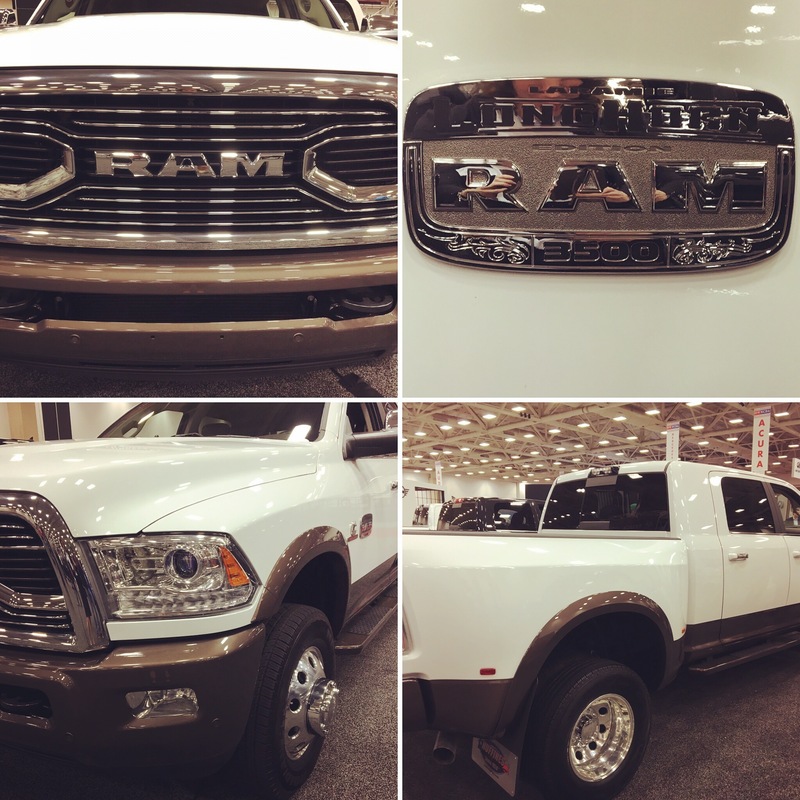 I learned a few important lessons during my first car show, so I’m passing them on to you to in order to enhance your enjoyment of the Dallas Ft. Worth Auto Show. 1.Wear comfy shoes – The floor area is HUGE! I wore my cute heels for two hours during our preview night and promptly switched over to my orthopedic European-Walking-Sandals the next day. 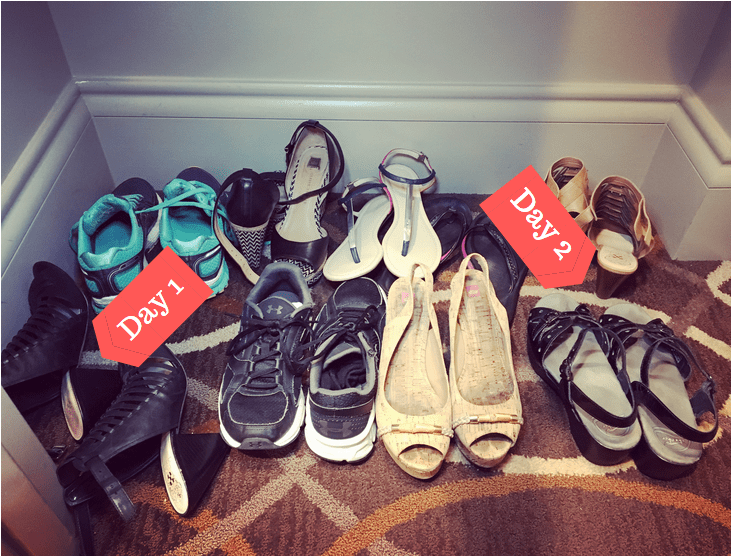 How many shoes do two women need for a one night trip? Seems reasonable. 2. Don’t be intimidated. Ask questions – that’s what they’re there for. What impressed me most was how well all of the manufacturers’ representatives were able to field the full spectrum of questions: providing all of the technical details required by experienced car enthusiasts like my friend Kristin, while still answering my “cars are shiny!” level questions without making me feel like a ding-dong about them. 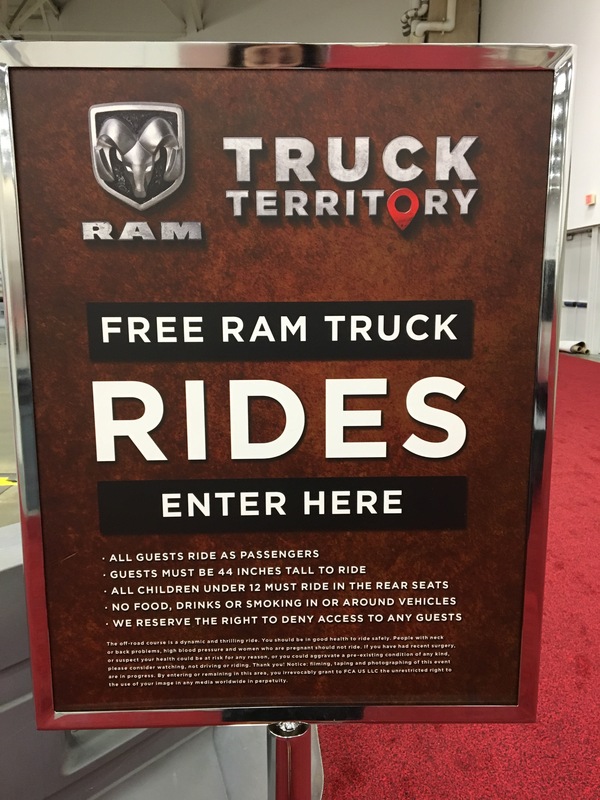 Here are some videos of the Ram Trucks Experience – It was the perfect opportunity to have one on one q&a time with a product expert while experiencing the amazing power & towing capacity in person. While Kristin focused on engine sizes and towing capacity, I enjoyed the gorgeous leather, saddle-bag Goldfish-cracker holders (I’m sure there’s a more technical name for them,) in the back seat. Plus, look at this cool new trim color, RV Walnut. 3. Bring your kids! – The Dallas Ft. Worth Auto Show is a family-friendly event. 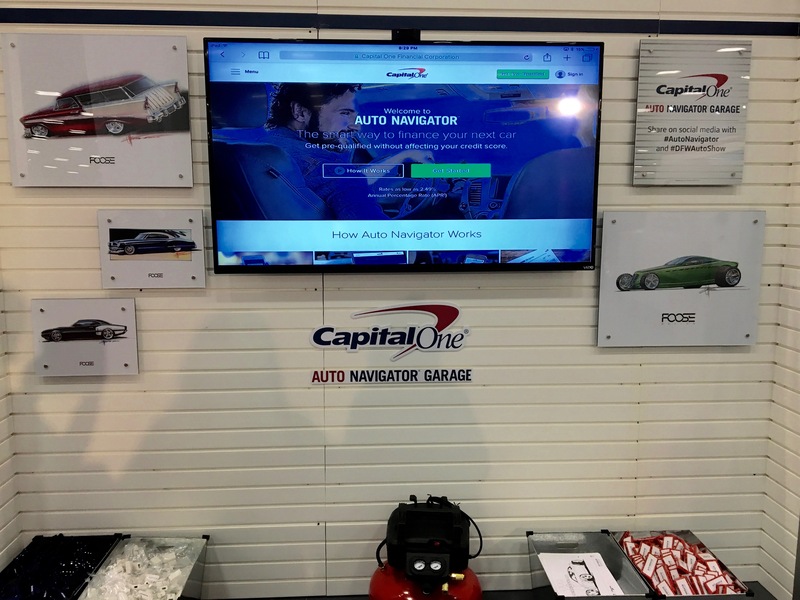 The Capital One even had a fun kids area with coloring pages and sunglasses for the kids in their “Auto Navigator Garage. Parenting bonus, as mentioned in #1, there’s a lot of walking involved, the perfect way to wear out your kids! 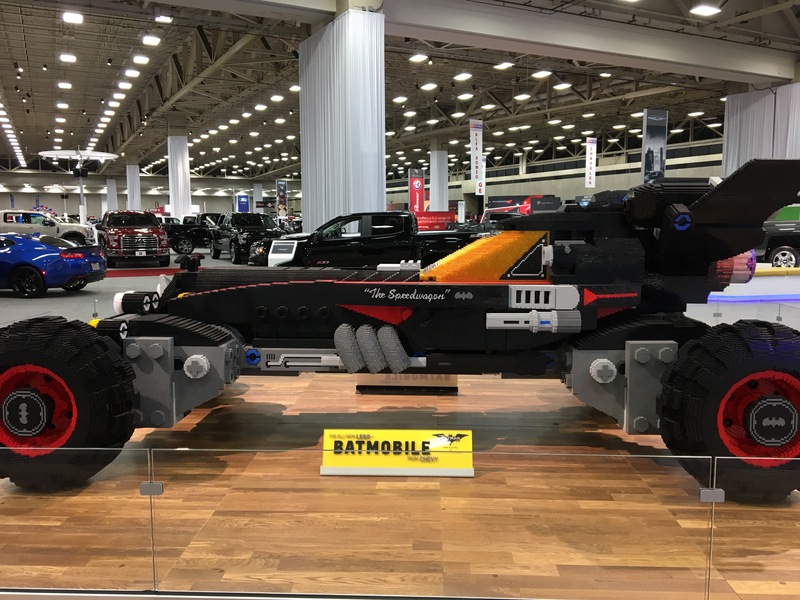 Plus, young (and old) Lego lovers have to check out the Lego Batmobile! 4. Whether or not you bring kids, pack a little snack – You want to make sure to keep up your energy so you can see all the cool new cars & play around with their amazing features. I don’t have a picture for this one. Y’all know what snacks look like though. 5. 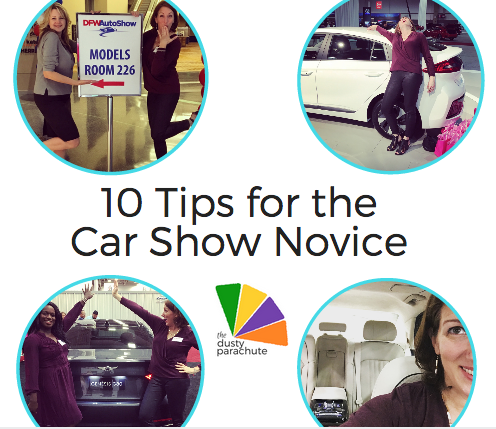 Take lots of pictures (and brochures) – You will be taking in a lot of great information and photos are a great reminder of which car had that awesome feature you liked. For example, the vacuum in the back of the Honda Odyssey. My husband was all, “yeah, for some reason we didn’t add that feature when we bought ours,” and I’m not sure I’ll ever learn to forgive him. 6. 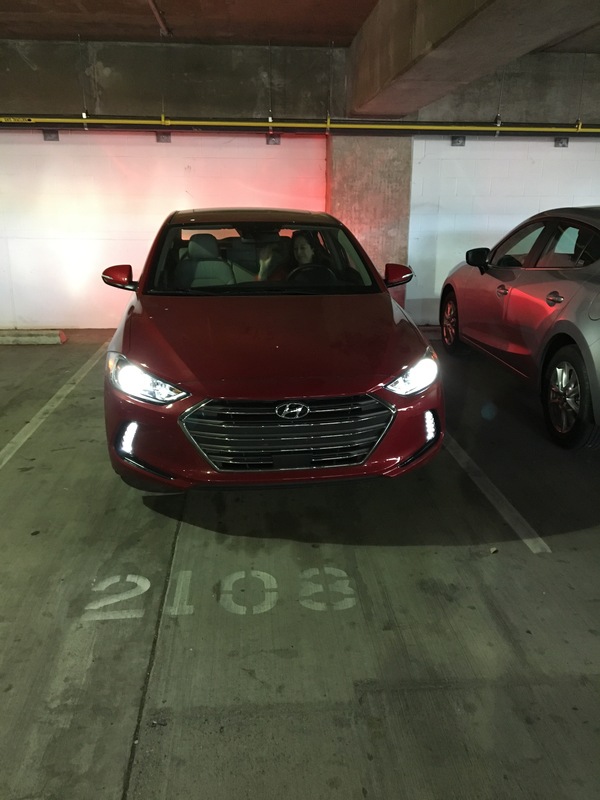 Take a picture of your parking spot – Not just at the Dallas Ft Worth Auto Show, but at any place where you’re likely to be all, “which floor did we park on again?” on your way home. You’re going to have such a great time at the show, make sure to end on a high note! 7. Take a picture of your kid (if you bring them, that is….or I guess just to have around if you leave them at home and miss them during the show.) 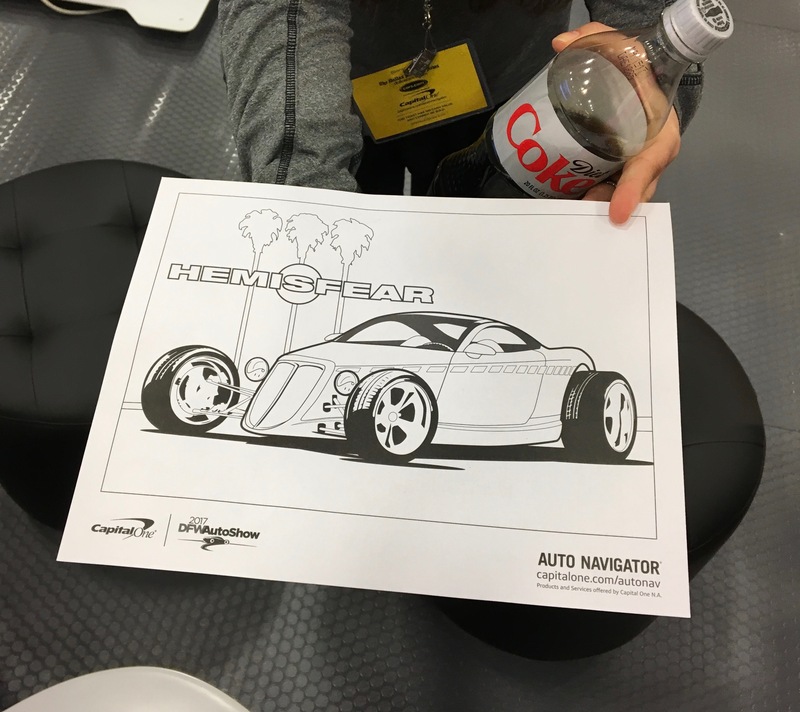 – Just in case they wander off, it’s a handy reference, and the Dallas Ft. Worth Auto Show has a “Lost Kid” room to help add piece of mind in case little Billy goes astray. Note: This is *not* a child-care. 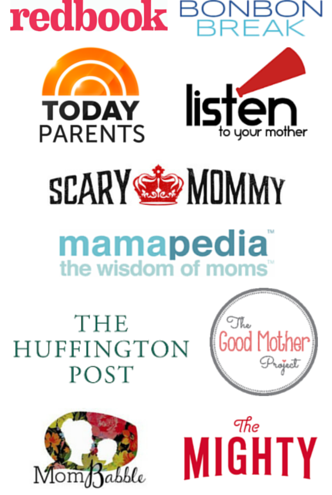 They won’t *take* your kid, no matter how much money or automotive-branded swag you offer them. 8. 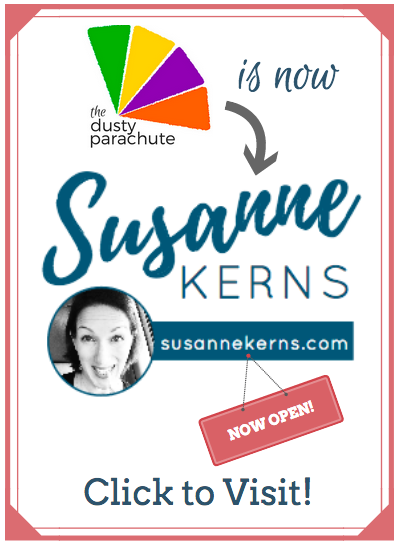 Enter ALL.THE.THINGS – Someone has to win and it might as well be YOU! 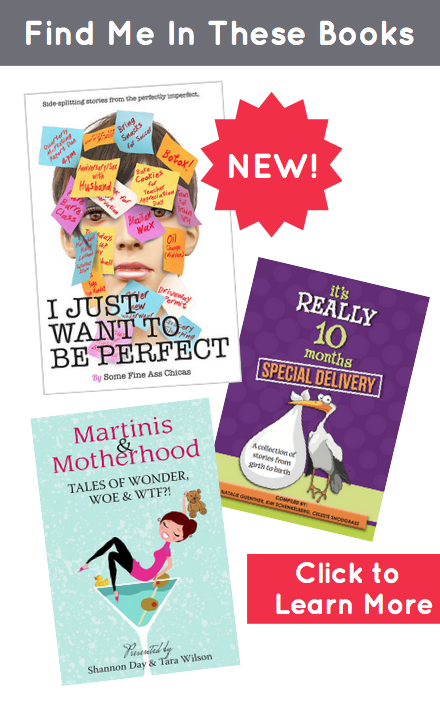 There are tons of great Enter to Win opportunities. But stay away from the Hyundai NFL Prize Pack. It’s all mine. Listen to us all majorly crushing on this car while Kristin tries to tell us important manufacturing details and I get WAY too excited about console details. 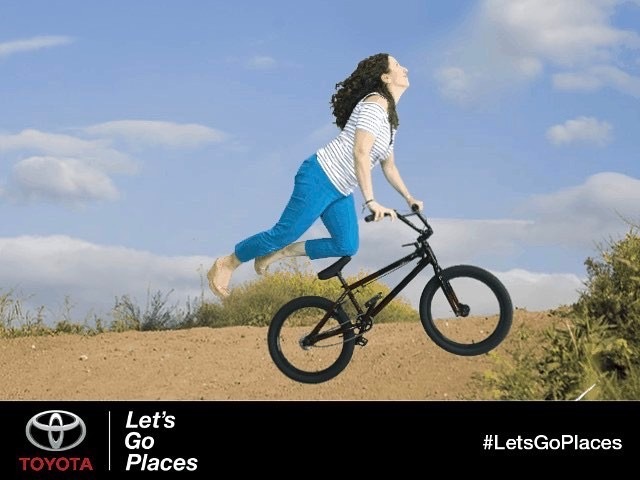 Bonus tip – If you do the Toyota #LetsGoPlaces Green Screen photo, lean your head BACK, so you look cool, like Kristin, and not forward, like you’re having a terrible accident, like me. Kristin apparently used to be a newscaster or had a lesson or something before she did her photo. 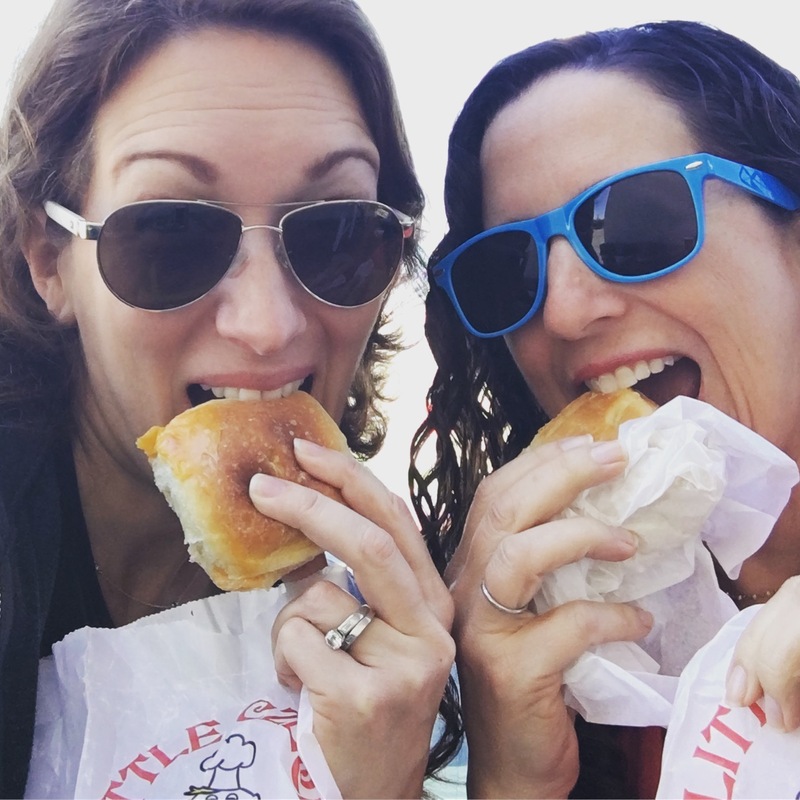 Bonus-Bonus tip – If you’re driving to Dallas from Austin, be sure to stop at the Little Czek Bakery in West, TX for the BEST kolaches I’ve ever had. (Okay, I’ve only had two, but these were amazing.) My favorite was the Breakfast Sausage….and the Apple…..and the Mixed Berry…..and the Pumpkin…..
Do something fun & adventurous this weekend! 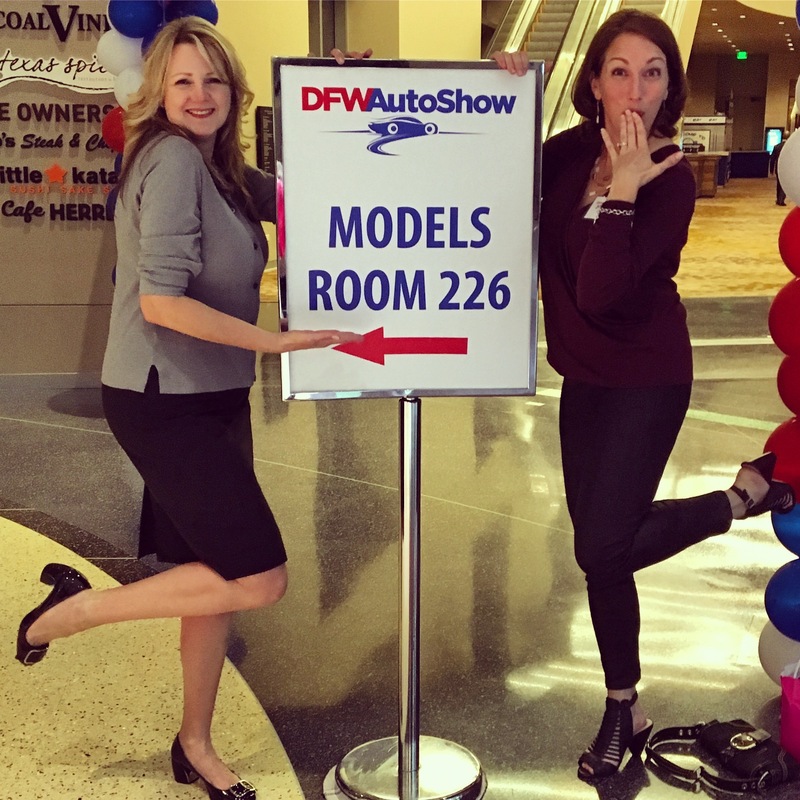 Grab a friend and hit the road to visit the Dallas Ft. Worth Auto Show! It’s going on from March 22-26. Get more information here. Don’t be scared. You can do this. AND you’re going to have a lot of fun! 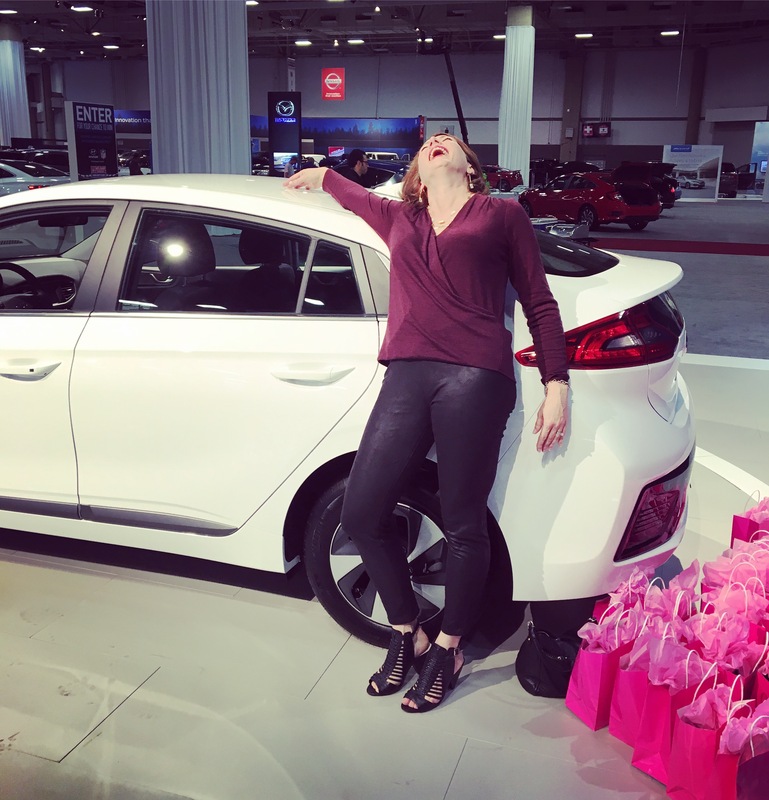 This is a paid review of the Dallas Ft. Worth Auto Show on behalf of She Buys Cars. (They may change their minds after they read it.) All opinions, and inappropriate humor, are my own.